UPDATE: The Missouri Department of Transportation (MoDOT) says westbound I-70 at Concordia has re-opened, after being closed for more than five hours. 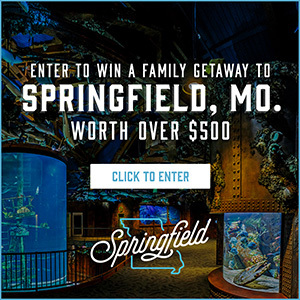 The National Weather Service (NWS) in Springfield is warning travelers that Friday evening’s commute will be difficult across the Ozarks, because roads have deteriorated from snow and ice. NWS meteorologist Mike Albano in Springfield says Branson, Monett, Neosho and West Plains are seeing ice. Some of those areas have seen almost two-tenths of an inch of ice already. 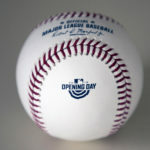 “For people traveling along and south of the U.S. 60 corridor, we’d suggest avoid any unnecessary travel,” Albano says. “Between a tenth and two-tenths of an inch of ice certainly has its problems that it could cause out there on the roadways,” Albano says. Snow, sleet and freezing rain continue to fall across the Ozarks this afternoon, and the NWS is urging you to complete your travel as soon as possible. 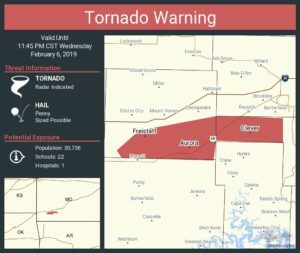 “And this is a system that’s going to be around really through the evening commute, probably not pulling out of maybe the Branson, the Springfield metropolitan areas until maybe after 6 o’clock this evening,” Albano says. The NWS says the Warsaw and Osage Beach areas could see up to three inches of snow, by Friday evening. Numerous Missouri school districts either canceled classes today, or dismissed early. That meant some of school buses were taking children home during the snowstorm. Meantime, the NWS in western Missouri’s Pleasant Hill, near Kansas City, says multi-vehicle crashes have caused closures on numerous highways and interstates in the Kansas City region, across the metro and beyond. ** Missouri state troopers in Lee’s Summit say one person has been killed in a 15-vehicle crash today on westbound I-70, near Oak Grove. Westbound I-70 at western Missouri’s Oak Grove remains closed because of the crashes. ** Snow-covered westbound I-70 in west-central Missouri’s Concordia remains closed. The Missouri Department of Transportation (MoDOT) tells Missourinet at least six or seven tractor trailers crashed there, and one of them “tore open”, spilling items onto the highway. ** Snow-covered westbound Highway 54 near the Cole-Miller County line south of Jefferson City saw a pileup involving numerous vehicles today. One listener tells us about 40 vehicles were involved, while another listener says it involved hundreds of cars. The longtime Missouri Pork Association (MPA) leader says things are good in the pork industry. MPA Executive Vice President Don Nikodim spoke to Missourinet at this week’s Pork Expo in Columbia. 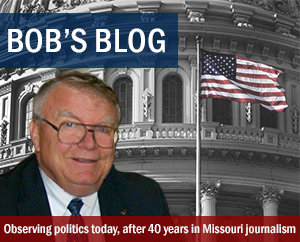 He says the future is bright for Missouri’s pork industry. Nikodim is optimistic trade deals with Mexico and China will come to fruition, saying it would help bolster their markets considerably. More than 800 people attended Tuesday’s Pork Expo lunch, and Nikodim says they had record attendance at the dinner and breakfast. He says the trade show sold out early this year. Nikodim also notes more than 200 Missouri youth are involved in a show pig program. A Missourinet reporter interviewing Nikodim at the Expo saw several high school students wearing FFA jackets. Hundreds of pork producers from across Missouri heard directly from Governor Mike Parson (R) at this week’s dinner banquet. Nikodim praises the governor. Governor Parson still owns and operates a cow and calf operation near southwest Missouri’s Bolivar. Nikodim also notes Lieutenant Governor Mike Kehoe farms. Kehoe has a family farm in Phelps County, near I-44. Meantime, the winter weather has been impacting Missouri’s pork producers. Nikodim notes pork producers dealt with last summer’s drought, and have been dealing with snow and ice in many parts of the state. “They deal with weather, that’s part of the reality of being in the business,” Nikodim says. “We went from dry summer to wet fall, so it’s a challenge but it’s something these guys, they’re good at,” Nikodim says. 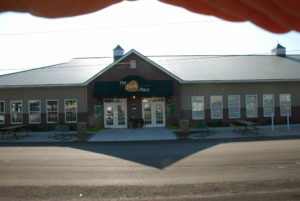 Nikodim has noted that the pork industry contributes $1 billion annually to the state’s economy. Governor Parson says Missouri pork producers raise more than 3.4 million hogs in the state. The National Weather Service (NWS) in Pleasant Hill has issued a winter weather advisory for Friday for large portions of of western, northwest and west-central Missouri. The NWS in Springfield has issued a winter weather advisory for all of the Ozarks, for Friday morning and afternoon. NWS meteorologist Chris Gitro expects a fast-moving storm and says the Kansas City metro will likely see the highest amount of snowfall Friday. “We’re expecting accumulations on the order of four to six inches for the Kansas City metro and surrounding areas, and by late tomorrow (Friday) afternoon and into the early evening hours the system is expected to depart pretty quickly,” Gitro says. Snow is expected to begin falling in Kansas City at about 9 Friday morning. Meantime, the National Weather Service in Springfield has issued a winter weather advisory for all of the Ozarks, for Friday. Lebanon, Waynesville, Warsaw, Osage Beach and the Lake of the Ozarks are expected to receive three to four inches of snow. The NWS says Springfield is projected to receive one to two inches of snow. Most of the snow will fall across the Ozarks Friday between 9 a.m. and 1 p.m.
Gitro in the NWS’ Pleasant Hill office tells Missourinet that Columbia, Jefferson City and Sedalia are expected to receive about three inches of snow. “It’s definitely looking like they’re going to be under the gun for some accumulating snowfall tomorrow as well,” says Gitro. Northwest Missouri’s Chillicothe and St. Joseph could also see four to six inches, while the St. Louis region is projected to receive two inches. The NWS in St. Louis is warning motorists that Friday evening commute hazards are likely in the St. Louis region. A light glaze of ice is expected Friday in southeast Missouri towns like Farmington, Perryville and Sikeston. The cold front is already in northwest Missouri. The NWS tweeted Thursday afternoon at 2:45 p.m. that it was 31 degrees in St. Joseph, while it was 57 degrees in Lee’s Summit, which is a Kansas City suburb. The National Weather Service (NWS) in Pleasant Hill and St. Louis have issued winter weather advisories for virtually all of northern Missouri, until midnight tonight (Monday). The NWS says St. Joseph, Chillicothe, Edina, Kirksville, Macon, Tarkio and Trenton are expected to receive a wintry mix of freezing rain, sleet and snow on Monday evening. The NWS says the Edina area could receive about 0.11″ of ice. Most of the other towns are expected to see minor ice and snow accumulation. State Rep. Brandon Ellington, D-Kansas City, tells Missourinet the recent ice storm and snow have been very difficult on elderly residents in his Kansas City district and across the state. “With the power outages, with the streets being filled of ice and the sidewalks being filled with ice it’s hard for them to get out and go to the grocery store,” Ellington says. The NWS is warning that parking lots and walkways will be slick across northern Missouri, because of the wintry mix. Ellington is urging you to check on your elderly neighbors and family members. 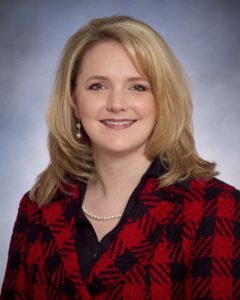 Ellington tells Missourinet he learned today that a Kansas City resident in a nearby legislative district fell in the ice and broke her cheek. “I was actually just talking to Representative (State Rep. Ingrid) Burnett and she was telling me about her neighbor that literally just fell and broke her jaw, broke her cheek, excuse me, broke her cheek,” Ellington says. 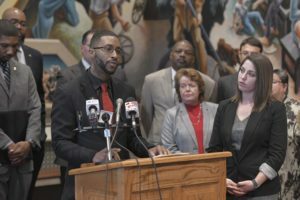 Representative Ellington spoke to Missourinet Monday afternoon at the Statehouse in Jefferson City, after the House Democrats held a press conference on criminal justice reform. 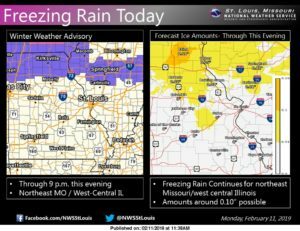 All three National Weather Service (NWS) offices in Missouri have issued winter weather advisories, with snow and freezing rain on the way. The winter weather advisories begin at midnight Sunday (tomorrow) and run through Sunday at noon. The NWS in Pleasant Hill has issued a winter weather advisory for much of western, central and northern Missouri. The NWS says a wintry mix is expected to begin late tonight in Kansas City and St. Joseph. The northern Missouri towns of Chillicothe, Trenton and Bethany are expected to receive one to three inches of snowfall by noon Sunday, while the west-central Missouri communities of Marshall and Sedalia could see up to two inches of snow. Northern Missouri has been slammed this winter with several large snowstorms, along with freezing temperatures. 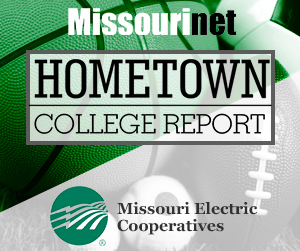 News director Tom Tingerthal at Missourinet Chillicothe affiliate KCHI (AM 1010) tells us roads are currently in good shape overall in the “Home of Sliced Bread,” but notes there are still some icy spots there. Meantime, the National Weather Service in Springfield has issued a winter weather advisory for most of the Ozarks. 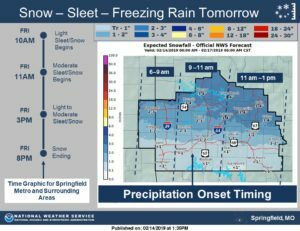 The NWS in Springfield says a wintry mix is expected to begin after midnight and will start as snow/sleet, before transitioning to light freezing rain. The Branson and West Plains areas are expected to receive about 0.10″ of ice. Slick roads are expected across the Ozarks, and the NWS expects about one inch of snow in most areas there. The National Weather Service in St. Louis has also issued a winter weather advisory for much of eastern and northern Missouri. The NWS says the precipitation will begin as snow late tonight in cities such as Columbia, Jefferson City, Hannibal, Moberly and Warrenton. 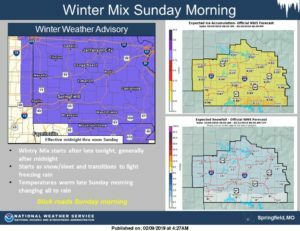 Snow is expected to begin falling in Columbia and Jefferson City at about midnight, and the snow is expected to change to sleet and freezing rain Sunday morning. Light accumulations of snow, sleet and ice are expected. The snow is expected to start in the St. Louis area at about 3 a.m. Sunday. The Columbia, Sedalia, Clinton and Lake of the Ozarks areas are also expected to receive some ice. Tune into Saturday morning to your local Missourinet affiliate for our hourly newscasts, with updated winter weather information. 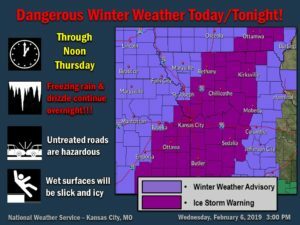 The National Weather Service (NWS) in Pleasant Hill has issued an ice storm warning for a large section of western and northern Missouri, including Kansas City, Chillicothe, Sedalia and Bethany. 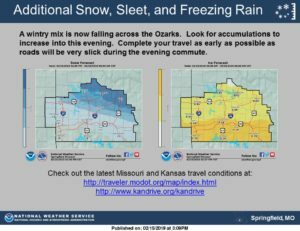 Cutter says the commute home Wednesday afternoon will be “slick and icy” in communities stretching from Columbia to Boonville to Kansas City to Kirksville. “The temperatures where they’re going to stay, we’re going to be well enough below freezing and the continued misty stuff that’s falling from the sky is just going to continue to make things slick through the afternoon,” Cutter says. A historic combination of arctic air and strong winds will lead to dangerously cold conditions the next couple days. A wind chill advisory and warning are in effect through Thursday morning for eastern, mid and northeast Missouri. National Weather Service meteorologist Jon Carney says the winter blast has led forecasters to issue their first wind chill watches and warnings in years. He says don’t be fooled just because your car’s heater works. “Your car breaks down. You are in the middle of nowhere. 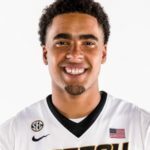 All the sudden, you are facing wind chill values of -25 or -30 degrees and you’re going to try to hike somewhere to try and get some help,” Carney tells Missourinet affiliate KSSZ in Columbia. He suggests dressing in layers because health dangers will take little time. “It’s very quick. You can get frostbite literally in minutes and hypothermia if you are not properly dressed,” Carney says. Several Missouri school districts have called off classes today, including St. Louis, Columbia, North Kansas City, Mexico, Marshall and Jefferson City. About 40 northeast Missouri school districts and Truman State University in Kirksville are also closed today in response to the extreme temperatures. The National Weather Service expects bitterly cold temperatures and gusty winds beginning today through Thursday in Missouri. Missouri could have wind chill factors between -10 and -40. The state Division of Fire Safety reminds you to be safe if you are using a space heater. The division says one-third of heating fires and 80 percent of home heating fire deaths annually are caused by space heaters. Fire officials warn you not to leave a space heater unattended. Try to limit your exposure outdoors and dress in layers. Animals should also have adequate shelter from the dangerous temperatures.